UPDATE: This workshop has completely sold out. Sign up to the newsletter to be the first to find out when our upcoming workshops and online courses commence. "How did you become a blogger?" This is a question I get asked, a lot. Over the last few months I have been busy creating something really special. I am so excited to finally announce my first Workshop: How To Become A Successful Blogger. How To Be A Successful Blogger will be held at the stunning Harbour Rocks Hotel in Sydney on Sunday 7 June, 2015 from 9am to 4pm. Do you know how I have created an amazing community in under 18 months? Do you want to know how I get to work with some of the biggest brands in the world? Do you want to know how I made money from my blog within the first year? Do you want to know how I get to travel the world and blog about it? If so, then this workshop is for you. Using the strategies and systems I have implemented to build Mister Weekender from the ground up and drawing from my eight years experience in public relations, I have created a one day workshop designed to help those of you who are interested in blogging, or want to start a blog and don't know where to begin, or have a blog but are looking for inspiration and motivation to keep working at it. This one day workshop isn't about providing vague tips on how to 'create great content’ nor does it tell you ‘SEO answers all of your problems'. This workshop is easy to follow, easy to understand and most importantly, easy to action. It’s broken down for you step by step and is designed to help you find your community. This workshop is about providing full disclosure on How To Become A Successful Blogger, including the tips and secrets it takes successful bloggers years to learn...and don't want you to know. It is a practical approach to help you develop a strong understanding of how to create a successful blog, how to leverage social media and create an engaged community, how to use blogging templates effectively, how to network and build confidence, and how to avoid burn out by practicing work life balance and maintaining hobbies. 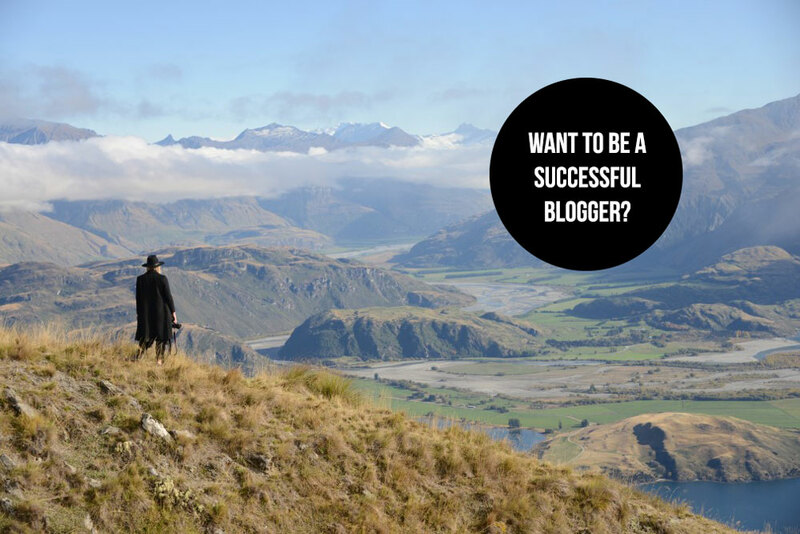 I will give you unprecedented access to the tools you need to become a successful blogger. I will hand over 12 Blogging Modules I have created exclusively for you to use step-by-step so you can stop wasting time and start getting some results! I will also give you bonus worksheets to help cultivate the best blog, and then it’s up to you to do the work and become a successful blogger! Don’t worry! I have designed a step-by-step How To Become A Successful Blogger Online Course. Make sure you sign up to Mister Weekender’s email where you’ll be the first to find out more details. All you need to do is click on the ‘Subscribe’ button on the top right corner of this page. In more news, I am very excited to announce I will be launching Your Creative Start - a creative community of likeminded people inspiring greater knowledge through workshops, online courses and podcasts. My first workshop is How To Be A Successful Blogger, and due to popular demand, it will soon be available as an online course. I also have more exciting workshops and online courses planned. In addition, I am in the process of recording and editing my very own podcast where I interview young starters and entrepreneurs about their successes, their struggles and their practical tips for listeners to use in the real world. My first podcast series taps into music, interior design, social media, photography, digital media, organising, typography, work life balance, visual story telling and more. Sign up to my newsletter to be the first to find out when the podcast launches!